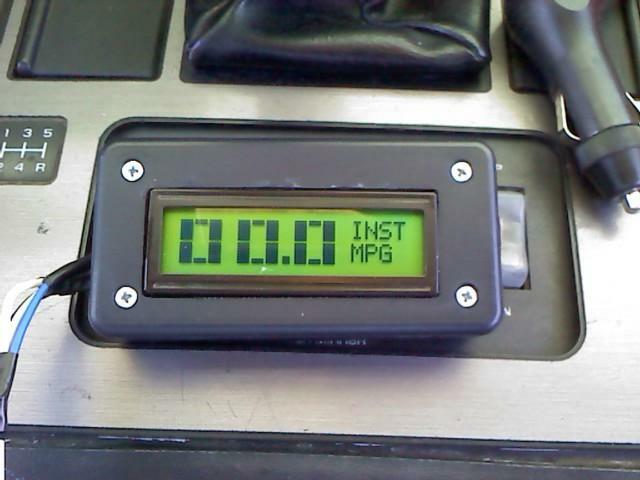 Fuel Economy, Hypermiling, EcoModding News and Forum - EcoModder.com - The Enclosure Thread, Show Yours Off!! The Enclosure Thread, Show Yours Off!! just finished making my enclosure. i like the results. i used some click pen cap internals to make some case buttons. there is also a video showing the function of the case buttons. Very similar to mine. For button extensions, I cut up a ballpoint pen refill, cleaned it out and reamed to fit the tactile buttons. As an added bonus, the backlight from the display shines on the button extensions so I have lighted buttons. This is a Fundamental Logic MPGuino v1.0. 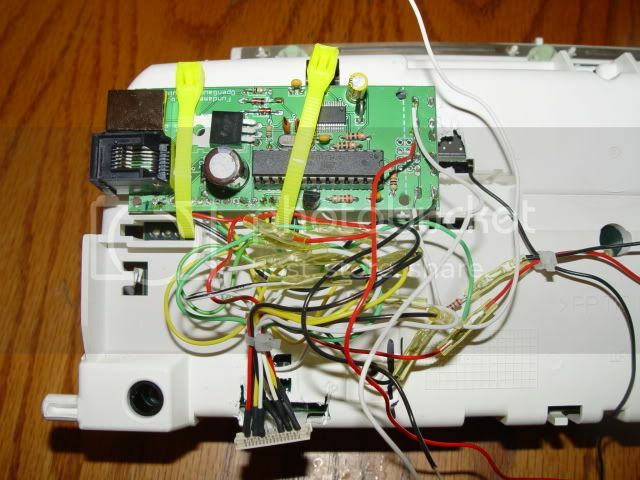 Only the RJ-11 connector is brought outside the box. When I want to connect to USB, I open up the box. Pretty handy actually. Just unscrew the cover and carry the Guino with me. The display is red from SparkFun. I like it. Looks quite professionally done. looks pretty good there. is that the radioshack case your using? 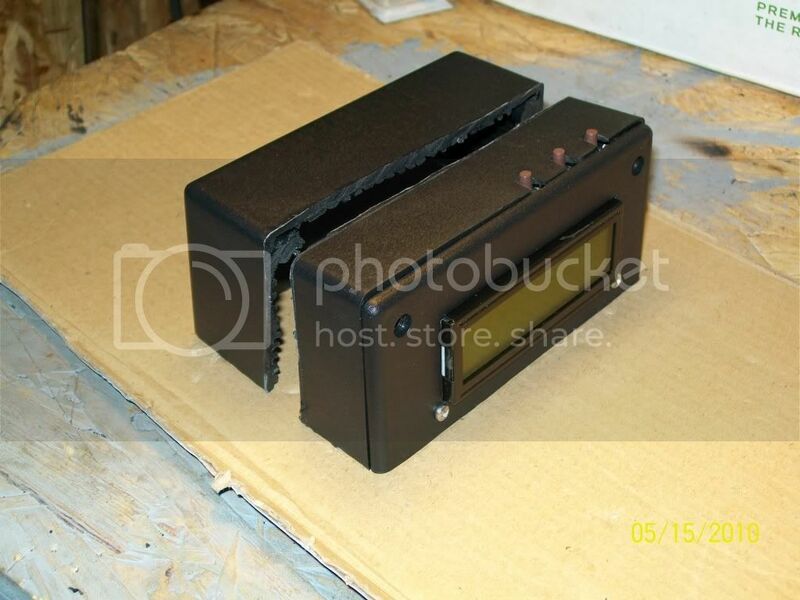 It's a Hammond Manufacturing box PN 1591 (4.5" x 2.5" x 1.1"). Picked it up at U-Do-It Electronics in Needham, MA. Mounted the way it is, the RJ11 connector just barely clears the bottom of the box in the cutout. That was just luck. I didn't plan it that way. There's a little room on the right side. If you're using the later MPGuino ver. 2 from Fundamental, both the RJ11 and the USB connectors are on the left end of the board. There should be nothing in the way on the right. I'm using the first version board, so my connectors are on opposite ends. But I should still have room to remotely install the LED array from the Wideband monitor in the same box as the Guino. I might actually get to building it in the next two weeks. I've been busy prepping/fixing an 03 Honda Odyssey that we just bought. 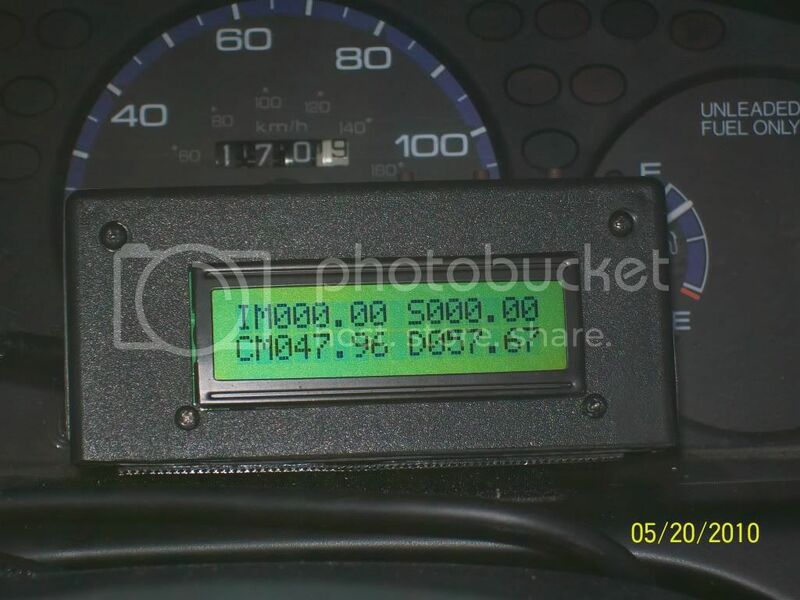 I recently finished installing the MPGuino display in the instrument cluster of my '96 Passat TDI. I'm pretty happy with the results, but it was a lot of work. 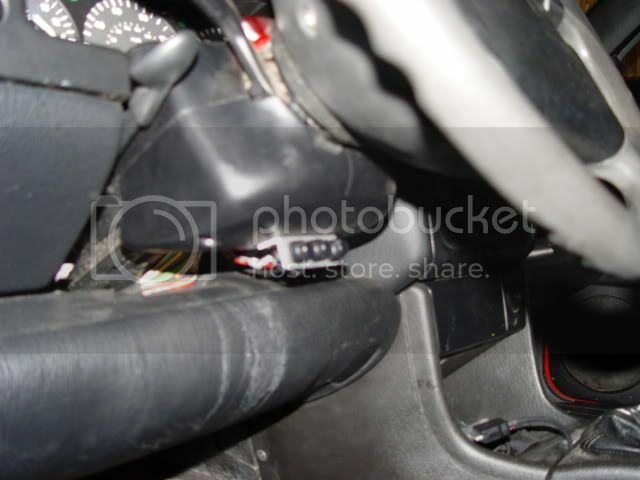 In order to find something small enough to fit in the dash, I used Newhaven Display NHD-02161Z-FSY-YBW-C along with Molex 0520891619 FFC adapter. It was quite the crash course in soldering tiny wires! The cluster I'm running is out of a VR6 Passat with an auto trans. 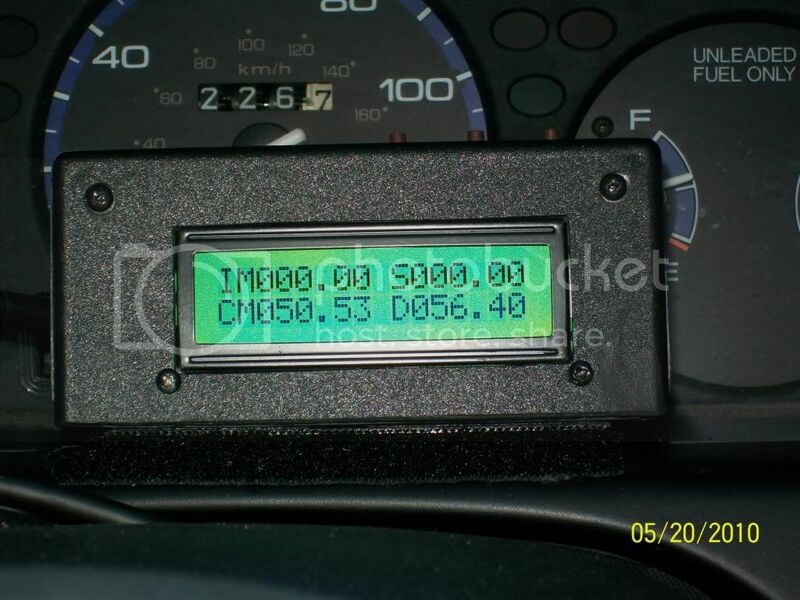 The automatic cars used a LCD display under the tach face plate to indicate gear selection. My car is a 5-speed so I used the space in the tach face to mount the display. I desoldered the original LCD from my Spiffie MPGuino and mounted (crudely, I might add) the board to the back of the instrument cluster. 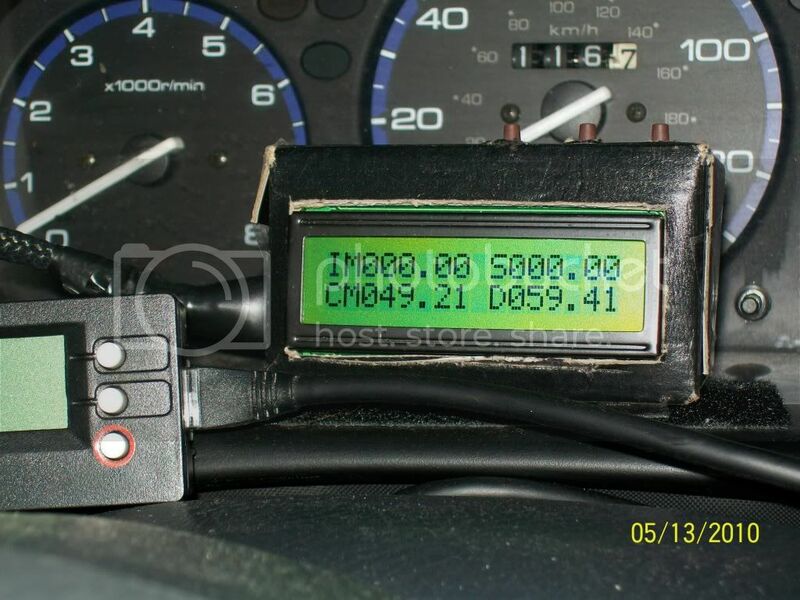 I powered the LCD backlight directly from the instrument cluster lighting through a 270 ohm resistor so the MPGuino display would dim with the rest of the gauges. Finally, I ran a trio of pushbutton switches in parallel with the tactile switches on the board itself and mounted these under the steering wheel. I'm fairly pleased with the results overall. The small display has a fairly large space between the top and bottom rows of text which hampers readability somewhat, but not too bad. 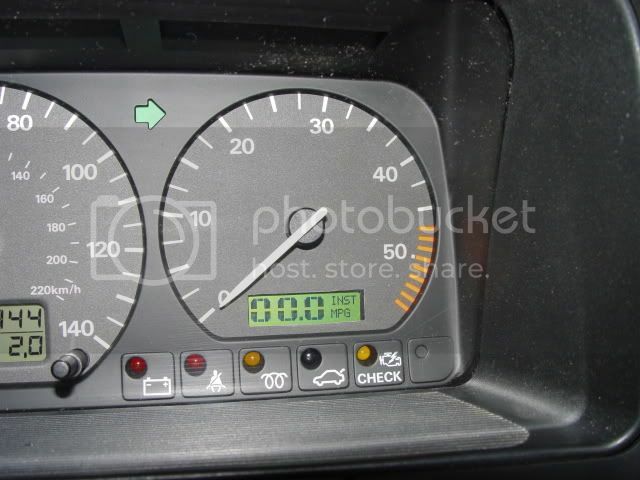 Also, I was hoping for a better match of the LCD backlight with that of the existing gauges. But it all works as it should and it's been a fun learning experience. Now that is just gangsta. Very good! My case is in the mail, I'll post up pics ASAP. Have you zeroed in on uSec/gal yet? I'm within 0.5% per tank and still trying to get closer. I'm currently working over the code to add more menu items. Adding a menu pick to allow directly entering the fill gallons and let the Guino calculate and save the uSec/gal. Also adding a menu pick to enter the distance actually travelled and calculate/save the VSS pulses. Strictly for convenience so you don't have to run through all setup screens every time you make a change. Very cool on the Passat guino. Makes me wonder what other displays will work. Thanks all for your kind feedback! rmccomiskie - I haven't made much progress zeroing in on uSec/gal - still ~ 2%. Lots of tinkering with the display, relatively few miles driven (i.e. bike commuting), and infrequent fill-ups on the VW (20+ gallon capacity and 40+mpg) make calibration rather time-consuming. I'll be interested to hear about your code hacks - sounds really interesting! wagonman - any display that is HD44780 or KS0066 compatible will work AFAIK- link. 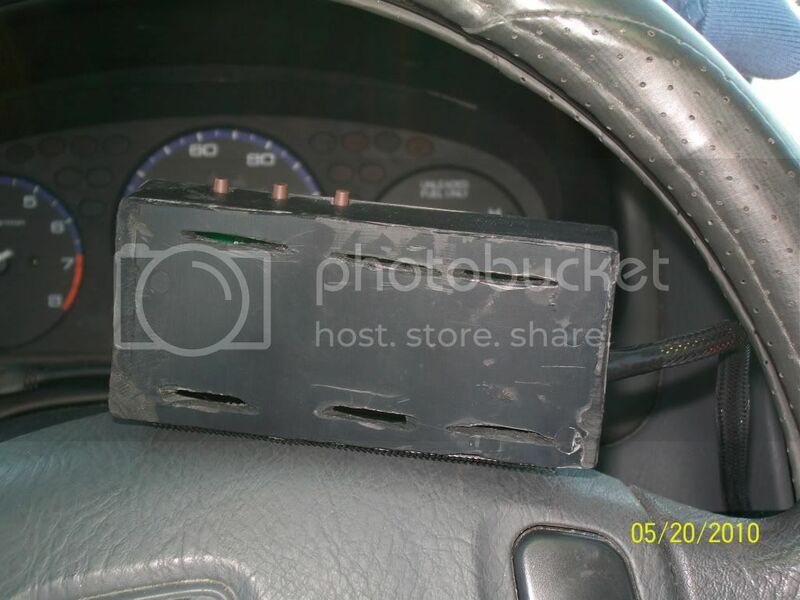 Press-fits perfectly in the ashtray of my 95 Neon, the hole in the side allows USB plug-in or the RJ11 to be routed through in the vehicle. Pushbuttons were made by cutting off LEDs. The only trouble I had with the initial installation was the RJ11 cable wired backwards - fortunately the MPGuino (the kit from Spiffie) wasn't fried. I hooked to the #4 injector - unfortunately you can't see the wire because it is in the conduit. which is the source code used by you? Here is my enclosure almost complete. Made completely from re-used stuff I had lying around the house. What microcontroller did you use? Why use source code? not show my big l / h.
It's a CAN OBDuino by Magister. ^^^Bling, bling, lol. I like the shiny! 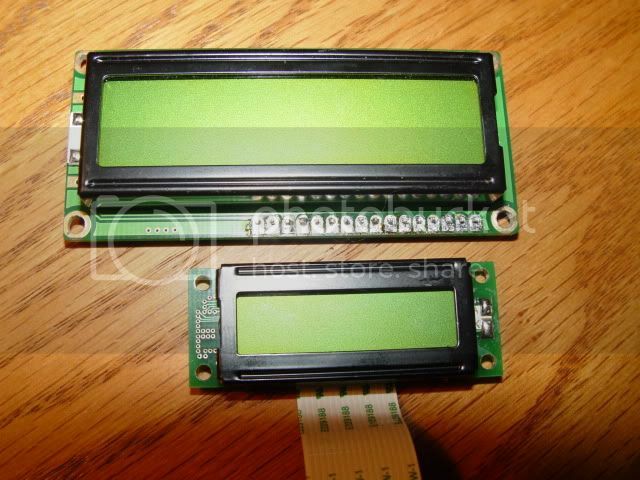 Did you remove the blacking from the LCD frame of find one that was already shiny? Oh, you mean mine? Thanks! Found this 10 minutes later...maybe moderator can merge my thread here? Very nice. What case is that? 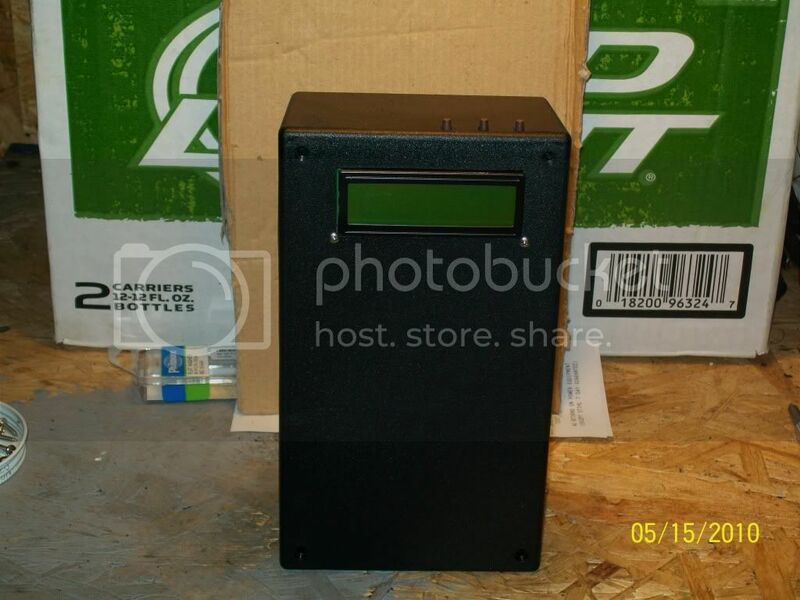 Hi all, I am looking for enclosures, where can I find them online, specifically for mpguino? Hey, how did that work out? 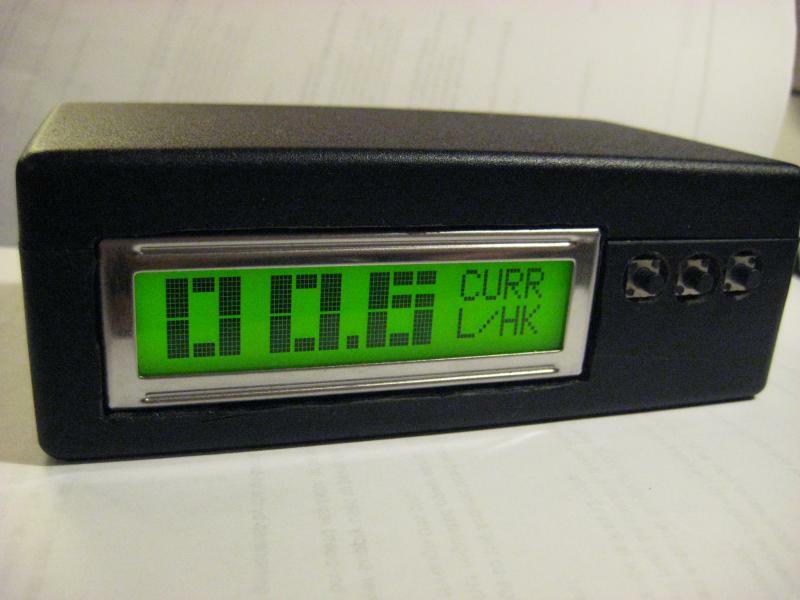 I set the display into front panel of Radio Shack case first, a lot like what you showed - then I had problems. My carpool buddy who knows way more elect. 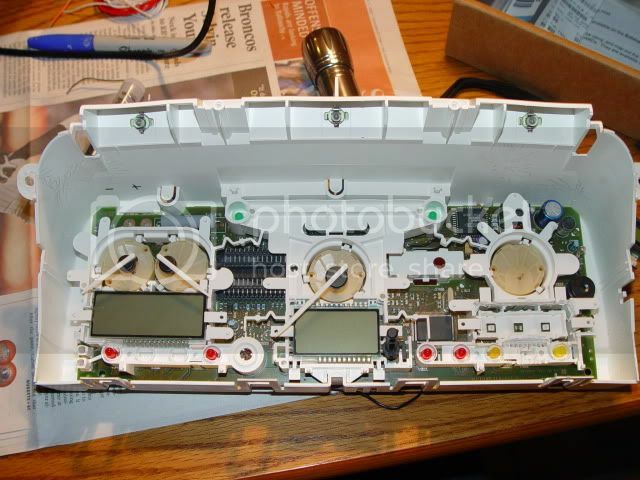 than I do said to set it into the main part first using small tube type standoffs + screws, then set on the faceplate. I'm doing a rebuild soon but not sure which way I'll go. Hmmm - I just saw rmccomiskie's pics here, that looks like a good way too. 47.96 mpg on the 57.67 mi. trip to work this morning. Previous cardboard case worked great and was compact but not pretty. New case has rear ventilation slots. New case was made from a much larger case. From an electronic supply place. Source case had the correct dimension across, about 1/2" bigger than the 4x2x1" Radio Shack case I'd tried earlier (too cramped for this version Guino, imho). I cut down both the height and the depth later. A car pool buddy with more electrical knowledge and experience than I advised me - after my first plastic case um, failed miserably. Advice: There should be no stress on any circuit board. Mount with screws and non-threaded standoffs (bushings) as spacers. Use non conductive materials wherever possible. 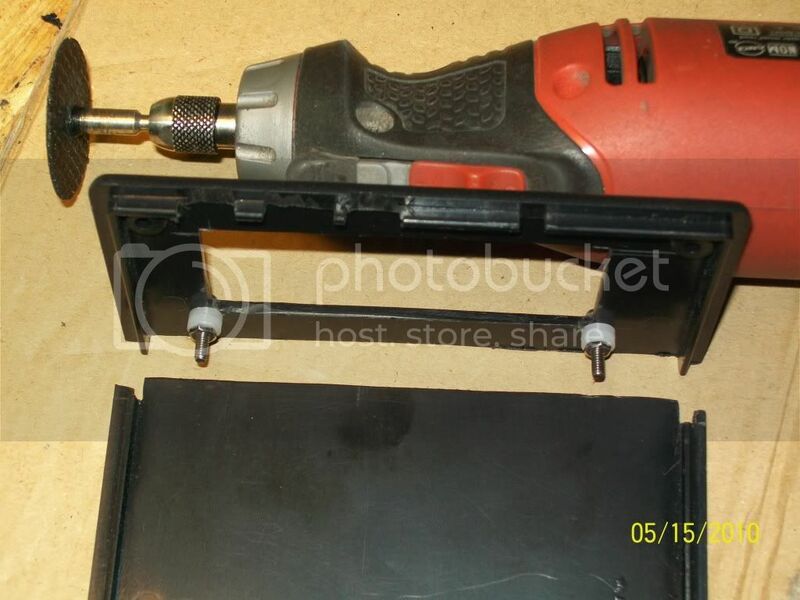 I used #3 screws; they fit the holes nicely. #4 is too big. #2 works but they are kinda loose. My screws and nuts are stainless; the washers are #4 nylon. At the bottom you see 2 screws, each with 2 washers. They anchor the board to the case. Detail of one of the 2 upper screws. These are spacers that brace (gently) against the back side of the case front panel. 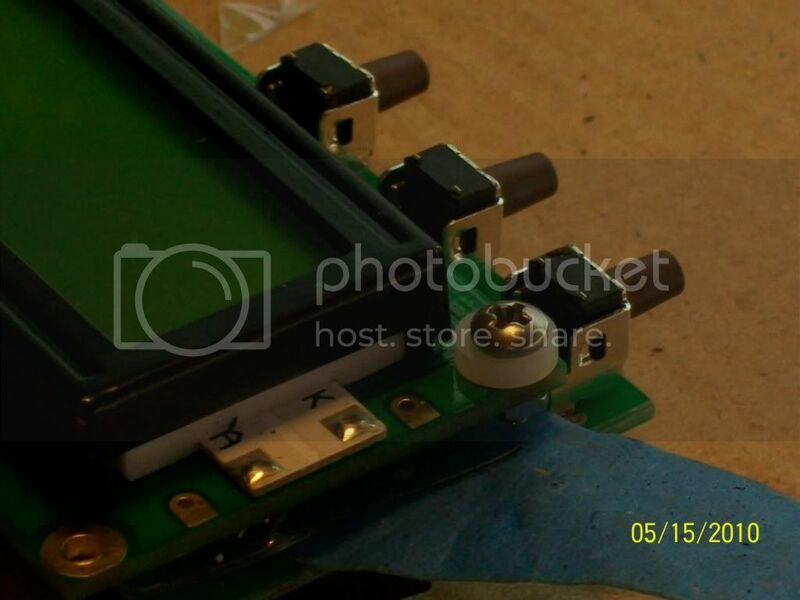 You'll need to CAREFULLY trim away some of the sheet plastic that's between the two circuit boards at the corners. Swiss Army knife scissors did it for me. One nylon plus one thin stainless washer built up the right thickness. 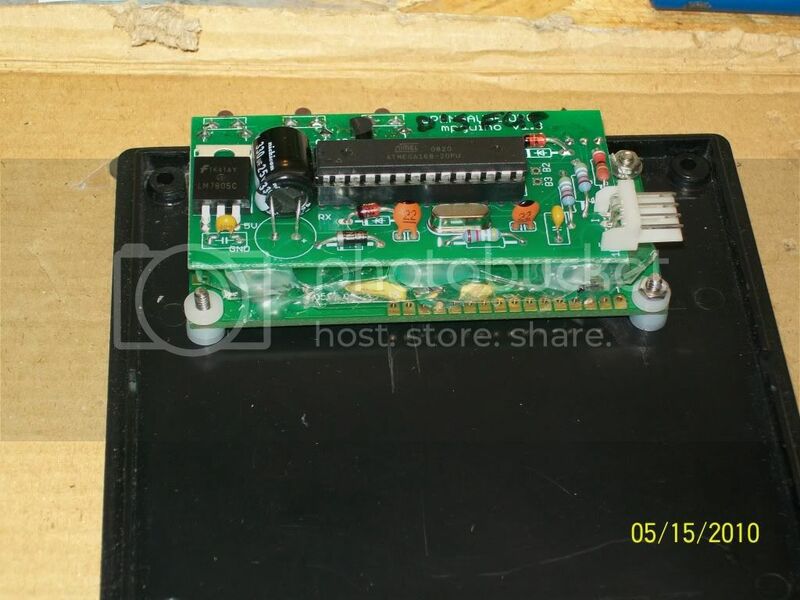 Note the nylon is against the board, not conductive. I basically sliced off the entire lower part of the original full case to the short height I wanted. Then it needed a new bottom. Bottom has velcro to stick to dash so I wanted to have a bottom there. Bottom made from the left over front panel that I trimmed off. Note the cuts to mate with the back of case. That's a fiber reinforced cutoff wheel on the "Dremel", which is actually a Black and Decker. It did almost all the cutting I needed for the project. Here's a shot showing the cut to reduce the depth. I made a new back from more of the front panel trim-off material. JB Quick "weld" epoxy glued on the new bottom and back. Hot glue might melt in summer heat, and regular epoxy is rated only to 200ºF (from the package info). JB Quick is rated to 300ºF so I feel pretty confident in that. Can't resist showing the trip home from work today. It was a tight fit into that box, trimmed some off the boards and some from inside the box. Plans were to mount it perm. some where in the car but have been having too much fun EOC'ing! It does work good in there but I should put some ventilation in it like you have done, we got to 100 deg yesterday! ...What problems did you have? The problems were with my 1st attempt, in the Radio Shack 4x2x1" box. Carpool buddy thinks I damaged the board by using the friction + pressure fit method. Anyway one day I got into the car and first thing I did was to reach for the center illum. brightness button - and the display fried. I think a static charge hit it from my fingertip. So I had to get the display board replaced. After what my buddy told me about not stressing any of the boards I decided to do a complete new case. I figure maybe it only fried because somehow I compromised a board. As you see instead of mounting it to the case like he said, I mounted it to the panel; otherwise I took his advice. I think it's good; time will tell. Not so much a enclosure, but more permanent installation. Took the middle air vent out of a donor car i have. Made a metal plate to mount the mpguino onto. 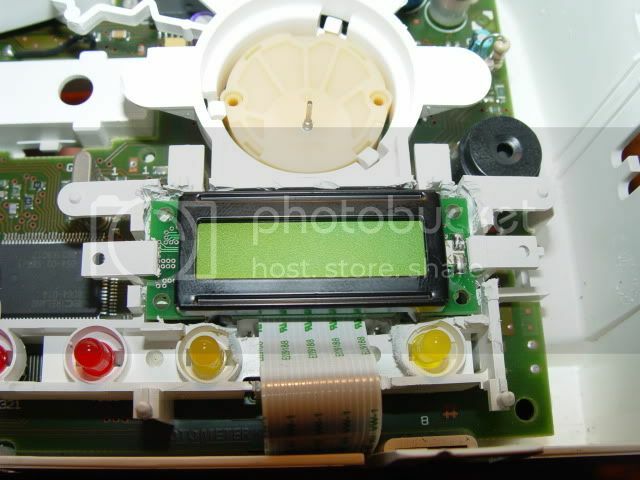 hacked out buttons from a dead dvd recorder(sawing both pcb and front display part). then some 3m carbon vinyl to hold the metal plate to the vent. and ofcourse blocked the air to the side it is mounted. Slick. I'd say, unblock the air to that side. Cut some slots or such in the metal plate and it will help keep the Guino cool. They build up some heat especially if they get a straight shot of 12-14V.